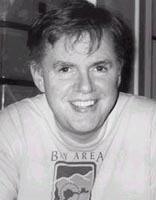 Tony Hiss, author of The Experience of Place (1991), is passionate about the restoration of America's cities and landscapes, and he has contributed to a wide variety of transportation and environmental initiatives. Drawing on the insights of planners, ecologists, psychologists, and environmentalists, his work outlines a more experiential and place-based way of thinking about our physical environments, exploring the ways in which people experience public spaces differently. Born in Washington D.C. and son of Alger Hiss, one of the most famous victims of the Communist witch-hunts in the U.S. during the Cold War, Tony Hiss is an author, lecturer, and consultant on restoring America's cities and landscapes. In 1963, he became a staff writer at The New Yorker, and since 1994, he has been a visiting scholar at New York University, first at the Taub Urban Research Center, and now at the Robert F. Wagner Graduate School of Public Service. Hiss is spearheading NatureRail, a new environmental and transportation initiative that works with commuter railroads to safeguard and restore the land they use, and to expand recreation and wilderness opportunities for all metropolitan residents. He also organized a 1997 conference for the Rockefeller Brothers Fund about the future of the New York/New Jersey Harbor Estuary, and as a result, four New York area foundations set up the pilot "H2O (Highlands-to-Ocean) Fund" to rescue and protect the estuary. In 1996, Hiss wrote the initial vision statement for Amtrak's new Great American Station Foundation, along with the report that launched New York State's 100-mile-long Hudson River Valley Greenway initiative. He was part of the 1997-1998 Metropolitan Initiative Project, sponsored by the President's Council on Sustainable Development. Hiss consults frequently on changing regional growth patterns, and on imaging the future through alternate development scenes, threats mapping, ecostructure mapping, and environmental simulation. He has lectured widely in the U.S. and Canada. Hiss is director of the Conservancy for Historic Battery Park and of the Village Alliance (a New York business improvement district), on the advisory board of Scenic America, Inc., a Contributing Editor to Preservation magazine, and a Fellow of the New York Institute for the Humanities. His work has appeared in The New York Times, Newsweek, Gourmet, The Atlantic, and Travel & Leisure. The National Recreation and Park Association awarded Hiss its 1995 National Literary Award for a lifetime of "spellbinding and poignant" writing about "how our environments, modes of travel, and other aspects of the American landscape affect our lives." "His words," said the citation, "are often poetic, always real." The Experience of Place. Hiss uses the experience of place to help us understand how profoundly we are affected by the places around us. By bringing together the insights of planners, ecologists, psychologists, and environmentalists, he explores how our experiences in public places can restore our connection to our senses. His work uncovers why some places - the concourse of Grand Central Terminal or a small farm or the corner of a skyscraper - affect us so mysteriously and forcefully. In doing so, he demonstrates how our society can continue to grow without destroying the places that have nourished it for generations. "A damaged experience is not only numbing; over time we can begin to mistake it for the original." "Conscious noticing of what we're experiencing, once we get back the hang of it, can be a common denominator, a language of connectedness between social, environmental, and economic concerns. Using the things we know or sense about places but seldom put into words, we can bring all our minds to bear on the problems of how our communities, regions, and landscapes should change." "Until recently, when people spoke about a vivid experience of a place, it would usually be a wonderful memory, a magic moment at one of the sweet spots of the world - an orange sunset over a white sand beach; or hearing the soft hooting of an owl while standing in a moonlit meadow; or standing up for one minute during the seventh-inning stretch of a sold-out playoff game at Fenway Park in Boston; or walking up Fifth Avenue in New York at Christmastime, dodging past roast-chestnut and hot-pretzel vendors, and catching a glimpse of the two stone lions in front of the Public Library, with fresh snow on their gray manes and big wreaths around their necks." "These days people often tell me that some of their most unforgettable experiences of places are disturbingly painful and have to do with unanticipated loss. Sometimes there's less to see or hear or do in a place: the curving road in front of an old suburban house, for instance, gets straightened and widened, and suddenly a favorite grove of oaks or pines that the winds whistled through is chopped down and paved over. In the center of a big city, people who have been used to window-shopping from the bus on the way home from work find that they can't look out the bus windows at night anymore because these now have a dark-green or bronze tint - and then, squinting tight, they realize there are no longer any store windows to see, because they have all been covered over by steel grates." "Today, often without even realizing it, four out of five Americans have moved into a new kind of home - metropolitan areas. And it looks more and more likely that, twenty years from now, those numbers will be closer to nine out of ten. America has had cities and suburbs for more than a hundred years. What's new about today's metropolitan areas is that, whether we wish it so or not, within each new metropolitan area the economies, the social problems, the environments - the destinies - of all cities and suburbs are tightly linked. They need each other to prosper, and by themselves they can't solve either the problems we already know about or those that the 21st century will inevitably dump in our laps."